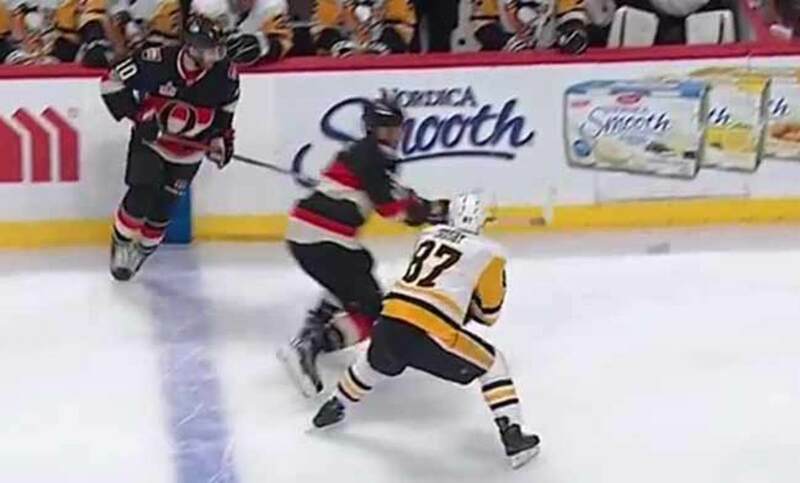 Sidney Crosby has incited some fiery reactions with a pair of questionable plays this week. His slash on Methot and spear on O’Reilly warranted penalties – but nothing more. We all feel for Ottawa Senators defenseman Marc Methot. Let’s get that out of the way. The injury he sustained Thursday night after taking a whack on the glove from Pittsburgh Penguins captain Sidney Crosby was gruesome and unfortunate, sure to be mentioned for years to come alongside the horrifying accidents of Clint Malarchuk and Richard Zednik. If you want to see what happened to Methot’s finger, here’s the video. It’s graphic in nature. You’ve been warned. An injury that shocking, naturally, invokes a strong reaction. That applies to Ottawa Senators fans, to keyboard warriors on Twitter and even to Senators owner Eugene Melnyk. He spoke on TSN 1200 after it was announced Methot’s finger was shattered and would cost him weeks. Melnyk wanted Crosby to be suspended for the rest of the season since he knocked Methot out long-term. The eye-for-an-eye punishment system isn’t totally foreign. The NHL’s Department of Player Safety does factor injury into suspension sentencing. Sabres defenseman Rasmus Ristolainen, for instance, was a first-time offender but got three games this week for his hit on Pittsburgh’s Jake Guentzel because Guentzel sustained a concussion on the hit. The league only factors in injury retribution, however, when a play is actually deemed worth suspending. That’s what so many people, especially Melnyk, seem to misunderstand. They’re reacting emotionally to Methot’s injury without considering that what Crosby did was nowhere near worthy of a suspension. Careless use of the stick, warranting a slashing penalty? Sure. Absolutely. 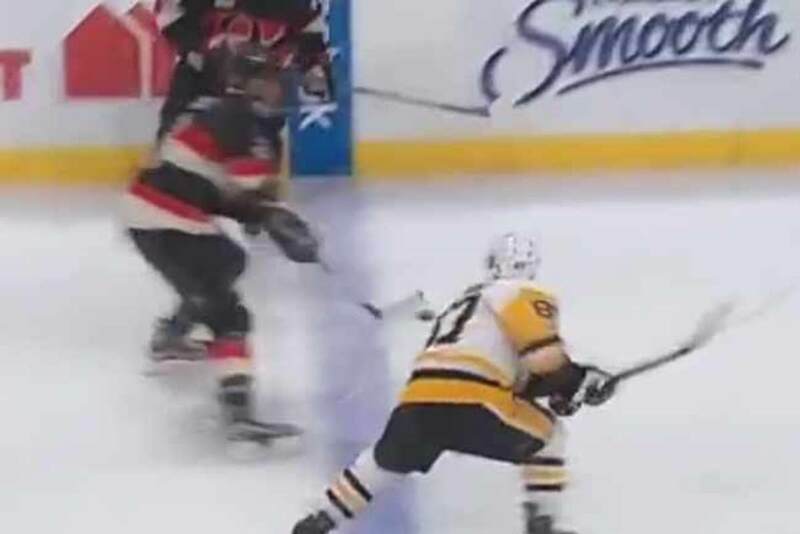 But even Methot’s own defense partner, Erik Karlsson, admitted after Thursday’s game it was a play that happens all the time. It should come as no surprise NHL deputy commissioner Bill Daly has already stated the league will not take any disciplinary action toward Crosby. He was obviously attempting to make a hockey play, and intent means everything when it comes to supplemental discipline. The windup wasn’t even particularly vicious. Crosby should be much more careful, but that’s about it. Two minutes would’ve sufficed. Zero suspensions got handed out. No one should condone slashing by any means, but it’s going to happen. We play and watch a sport that involves sticks. Players have to wear gloves for a reason. If we take issue with anything, it should be the league’s overall treatment of slashing. 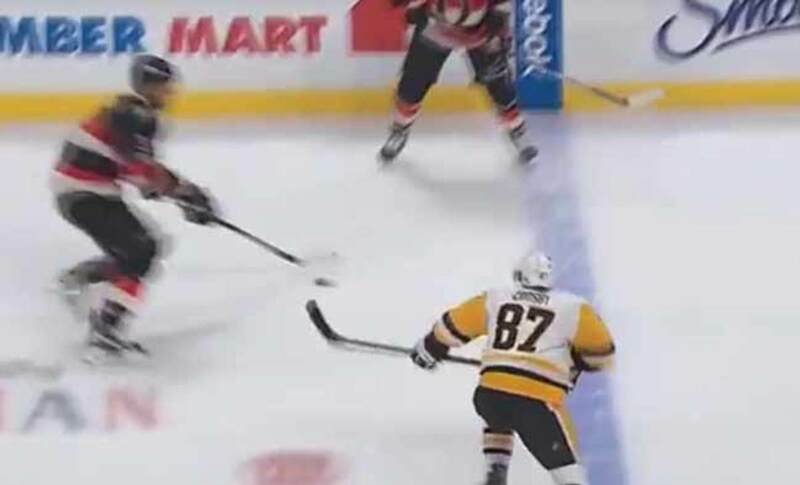 If officials and the DOPS cracked down harder on all stick infractions, even the unintentional but careless ones, there would be precedent to punish Crosby. But there isn’t. For every one of those he dishes out, he eats half a dozen. It would thus be hypocritical to suspend Crosby. Lucic’s stick went from the ice to DeKeyser’s cup, and even that only got Lucic slapped with a $5,000 fine. Crosby’s stick was already off the ice when he whacked O’Reilly. None of this means Crosby is necessarily a clean player. He should’ve been penalized for what he did to Methot and O’Reilly. But the hyperbole has to stop. He doesn’t deserve a season-long suspension. At worst, he deserved a fine for the groin shot. If you’re utterly convinced he’s the second coming of Ulf Samuelsson, a supervillain, then trying to get Crosby banned for these minor, unfortunate incidents is like trying to convict a violent criminal for jaywalking. Save the drama for if and when he does something that really warrants a serious punishment.